This 50 year old female presented with IOPs > 30 OU on maximum medications. What should you be careful about if you choose to do trabeculectomy ? Notice the deep set eyes with what appears to be smallish looking eye balls. 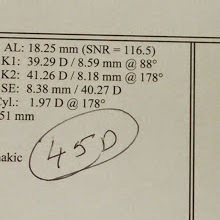 Refraction usually suggests high hyperopia (plus 15 diopters). A scan suggest a short eye ball (18 mm or less). The AC is very shallow in these eyes with occludable angles or chronic angle closure which is the reason for gradual elevation of the IOP. This is classic Nanophthlmos which by definition has Axial length of 18 mm or less, normal size lens that is too big for the small eye leading to crowded angles and very shallow AC. 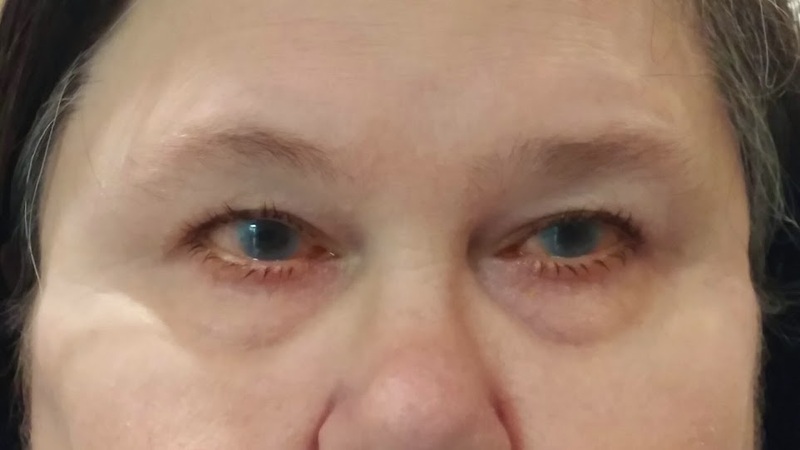 The treatment of choice for these patients is to remove the cataract/ clear lens extraction with in the bag IOL surgery combined with goniosyncheilysis as the first step. Should trabeculectomy become necessary, anticipate, shallow to flat chambers, high risk of malignant glaucoma and choroidal effusions. It is recommended that one should consider prophylactic sclerotomy prior to trabeculectomy in these cases (to prevent choroidal effusions or uveal effusion).